Currently Pirok has three other employees, while he uses a bank of installers for projects that are out of his range. “I’ve found that, over the years, it’s easier to run with a light crew and then bring on help when we need it,” he says. High-density urethane allows his small shop to work up big ideas. 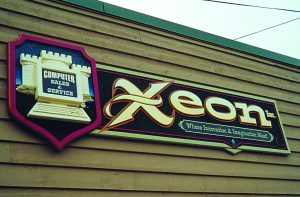 One of the first signs that his shop made using Precision Board was an outdoor wall sign for a computer service company called Xeon. Since this was around the initial advent of the computerized gaming craze, its raised elements featured iconography like a computer monitor, keyboards, and castles. Pirok used a mixture of hand carving and sandblasting to finish this piece. Today Pirok Design has evolved past sandblasting and effortlessly cuts Precision Board with CNC routers; panel, band, or scroll saws; and hand-carving tools (chisels, gouges, knives, rasps, and files). “[High-density urethane] provides less wear-and-tear on our tooling,” he extols. 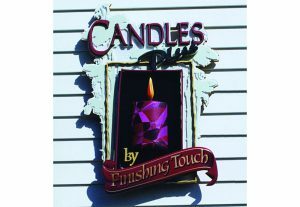 Pirok Design utilizes Adobe CS6 for layout design of these dimensional signs and SAi Flexi Sign Pro for production. The advantages of using a CNC router for carving HDU is that it allows one to be very precise. “The software for these machines will reproduce just about any texture that’s desired,” explains Pirok. When it comes to increasing the dimensionality of a sign, Pirok eschews the router and prefers hand-carving portions of the sign in order to give it that extra impact. There are many different densities of HDU material ranging from as low as four pounds all the way up to seventy-five pounds from some manufacturers. Pirok typically stocks fifteen- and eighteen-pound densities at his shop. If the sign is going to be installed in a high-traffic area or viewed up-close, Pirok will select the denser weight. “There’s less of a problem with impact,” he says. Pirok says he can utilize six-pound or twelve-pound Precision Board if the situation is right—for example, gilding a letter. 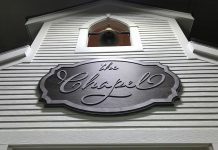 In fact, his shop recently employed twelve-pound HDU to create gilded gold leaf lettering on a projecting sign for a local jeweler. “Precision Board epoxy doming material acted as a great sealer here,” says Pirok. “This eliminated many steps. It provided a clear dome to the face of the letter. HDU’s very low expansion and contraction rate has allowed Pirok to use the substrate with different materials in custom pieces for clients—mixed media, if you will. For the Geneva Wine Cellars and Tasting Room at The Berry House Shops in Geneva, Illinois, Pirok crafted a multi-textured identity sign that is located, as soon as you enter, on a wall above a flight of stairs descending to an old cellar where the owners have set up quite the visitor experience. “The building has been around for more than 150 years, so there are exposed wood beams throughout,” he says. 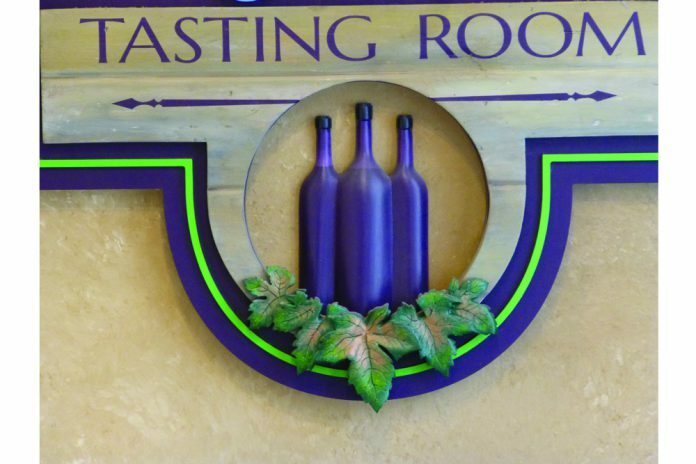 Pirok wanted to incorporate a stone effect in this 42-by-52-inch sign, similar to the atmosphere visitors would see down in the cellar. So he hand-carved this out of fifteen-pound Precision Board and painted it with Chromatic paints. 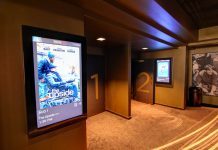 “I used fifteen-pound HDU because the sign is mounted on the wall above the staircase, and no one can touch it,” he explains. He also hand-cut the lettering and wine bottles and used a CNC router to create the background panel with raised red-orange lines. Meanwhile Pirok purchased the steel vine and leaf sections from King Metals and welded these sections to conform to the perimeter of the HDU. The end result makes for a rustic contrast with the sign. “We gave them an acid wash for a more natural look,” says Pirok. 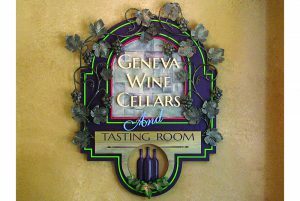 The “Geneva Wine Cellar” HDU letters were glued to the faux-stone portion of the sign. The steel vines and leaves were also glued to the sign in sections using West Systems two-part epoxy and repeated all around the perimeter of the sign. The finished sign really complements the environment, which is exactly what Pirok wanted to accomplish with this particular piece. 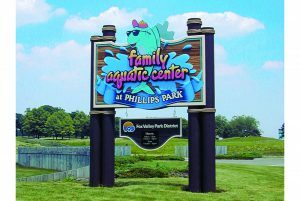 Pirok also created a mixed media post-and-panel-type outdoor sign for the Family Aquatic Center at Phillips Park in Aurora, Illinois. The main sign background is cedar with a dolphin character created from flat-cut MDO board painted with Chromatic bulletin colors. Pirok knew it was going to require an incredible amount of dimensionality to make this sign work, and Precision Board was his most viable solution to do so. 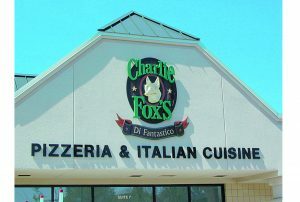 “I knew I had to add components to the sign to get the dimensionality required so it would stand out. So while the background is cedar, everything else—the letters, the splashes, and the ‘at Phillips Park’ banner underneath—are hand-carved HDU,” he says. The Family Aquatic Center piece is actually two layers of Precision Board. “The background island is 3/4-inch-thick, and the individual letters are one-inch-thick,” says Pirok. The one-and-a-half-inch-thick banner was glued and peg-mounted to the background substrate. While cedar was used on this project, Pirok does find that many of his customers are attracted to HDU because it’s a green material that is made up of eco-friendly recycled plastics. 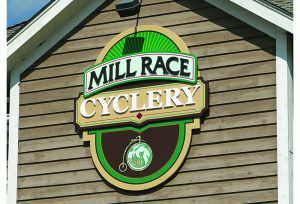 Another type of mixed media sign that Pirok often works on is reverse-lit and accent-lit HDU letters and panels. This type of sign comes naturally for him, as Pirok’s first job in the industry was at an electric sign company. 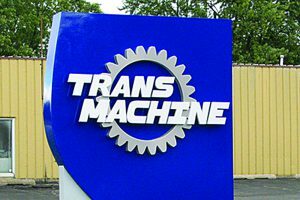 “Having worked in that field, I still use the knowledge I gained there today supplying customers with channel letters, electric monument signs, and so forth,” he says. Pirok is adamant that one of the most important things to do when working with Precision Board HDU is making certain that it’s sealed properly. The shop’s technique for painting Precision Board is pretty straightforward except for the last step—applying a UV clear coat. Using HDU has its advantages. 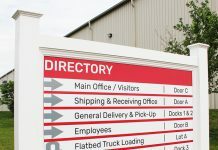 When applying for sign permits, municipalities are attracted to materials that offer a good lifetime. Pirok has found that a lot of his HDU work has been approved because the material is weatherproof. “Wood signs can rot or decay over time,” he says. In the end, Pirok stresses that he really enjoys using HDU because of its versatility. “This substrate allows us to be a bit more creative in our approach,” he concludes.